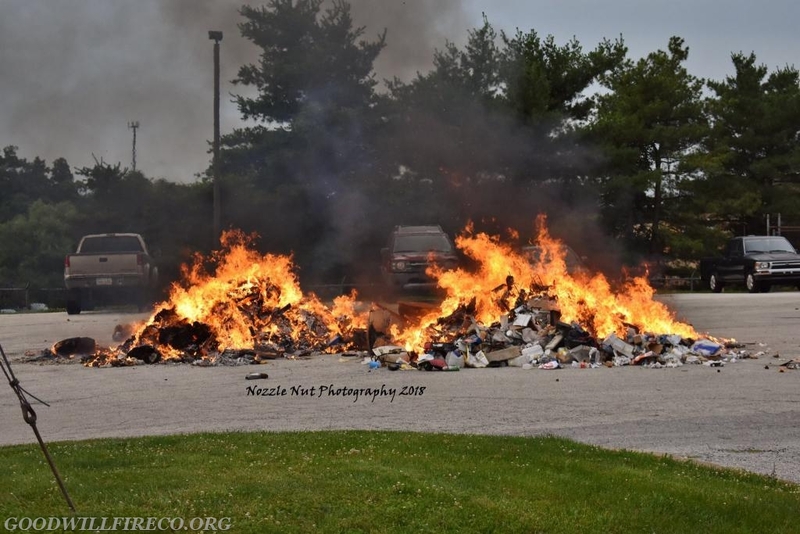 Around 0615 hours on Tuesday, June 19, Station 52 was alerted to the 600 block of Westtown Road for a reported trash truck on fire in a parking lot. 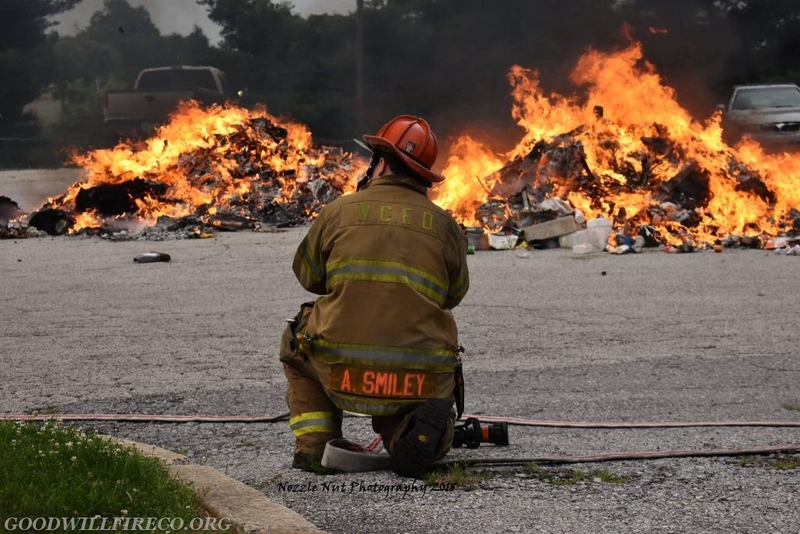 Chief 35 was passing the area and reported a working vehicle fire, followed by Deputy 43 reporting the crew was dumping the burning garbage. 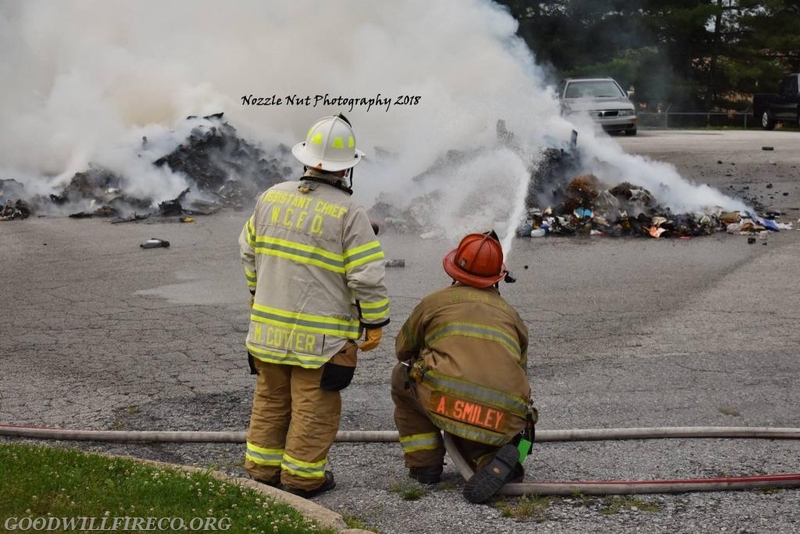 Assistant 52 arrived and reported the trash has been dumped with no extension to the truck, followed by Engine 52-1 (A. Smiley). 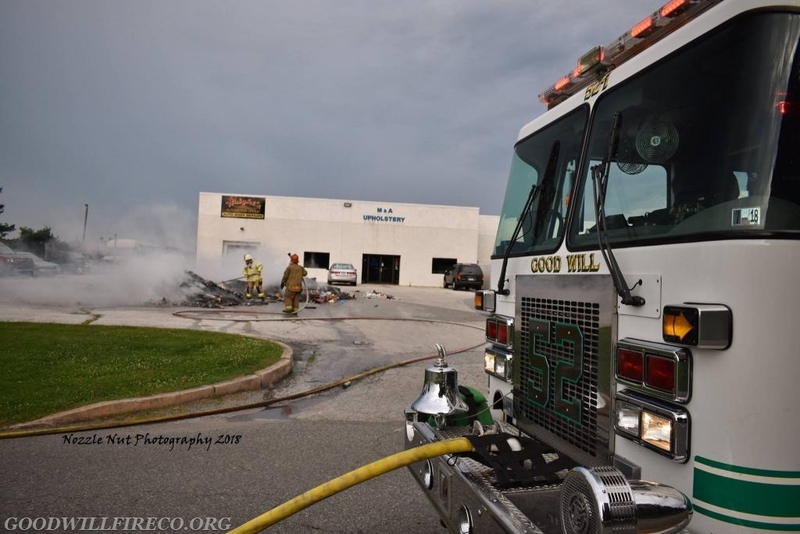 The Engine crew placed a 1.75" hand line inservice, extinguishing the fire in a timely matter. 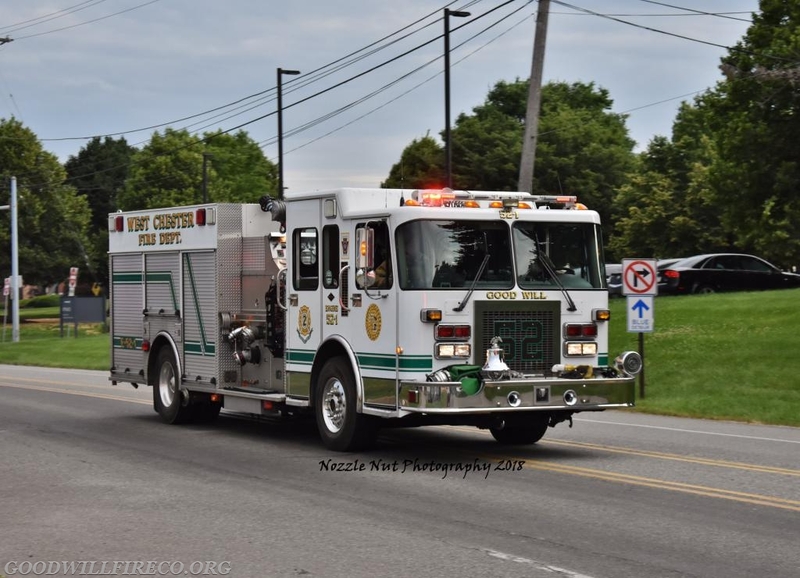 Engine 53 was added for manpower, Tanker 52 (Creager) and Chief 52 also made the response. 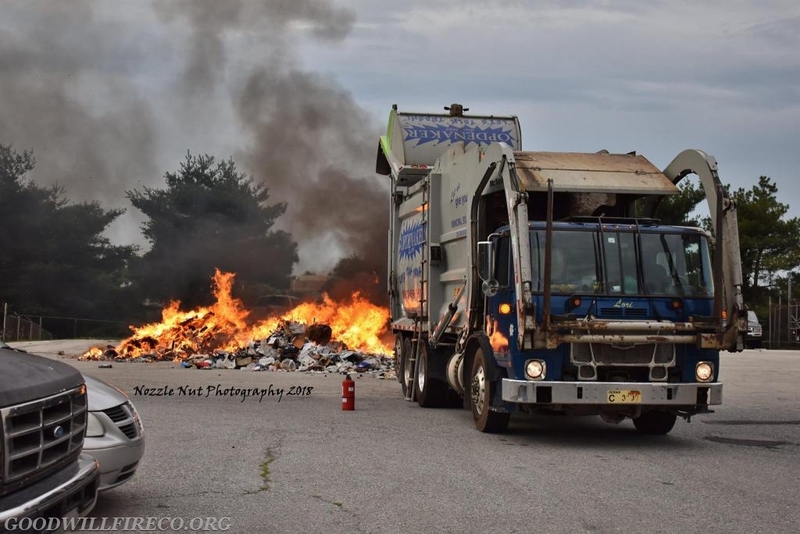 All units cleared the incident with in an hour. 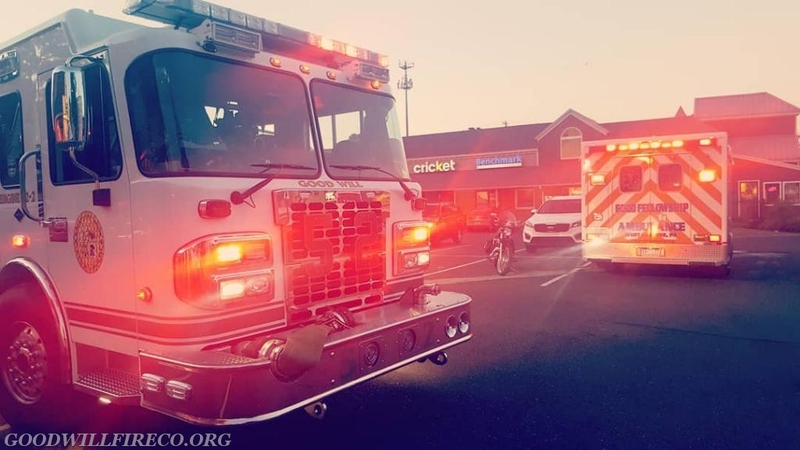 At 2015 hours, Engine 52-2 (McCarthy) responded to a fire alarm activation in the 100 block of East Market Street. 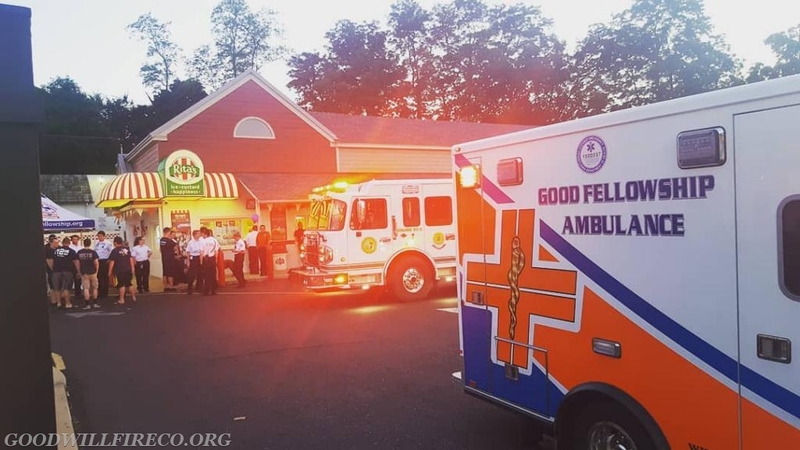 The crew found no problem, and while returning decided to stop and help out our friends at Good Fellowship Ambulance Club who where hosting a fundraiser at Ritas Water Ice on East Gay Street. 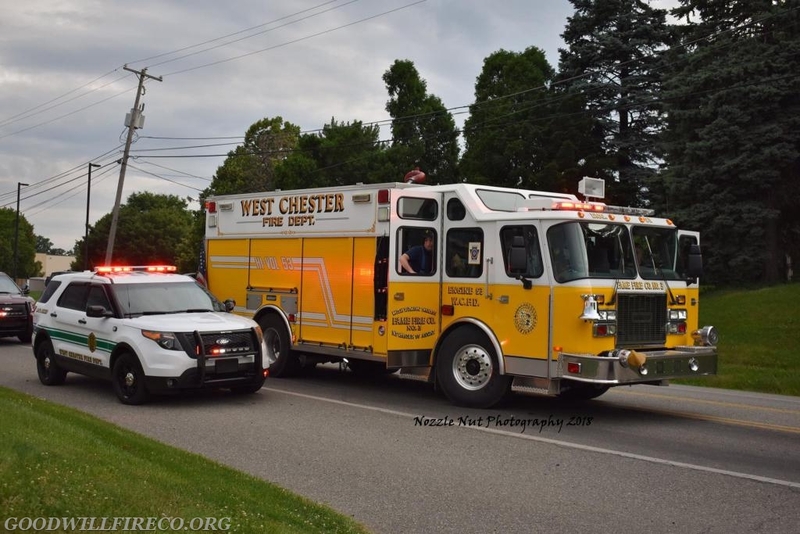 The Engine crew enjoyed water ice, all for a great cause!